Join us for a weekly group mindfulness meditation practice led by Steve Parsons. Mindfulness meditation is a practice focused on breathing techniques and quieting one’s thoughts. Meditation has been shown to support both pain and stress management. Read more about Steve and his experience here. Attendance is free of charge and drop-ins will be accommodated on a space-available basis. 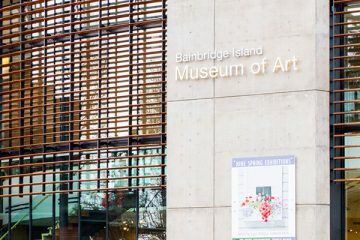 The Bainbridge Island Museum of Art is open the first Friday of each month for First Friday Art Walk, from 6pm to 8pm. Meet Me at the Movies is a unique film experience. Theme-based clips from classic and contemporary films are shown, followed by audience discussion and reminiscence guided by a moderator. Designed for people with memory loss and their care partners, this program can be enjoyed by all adults. 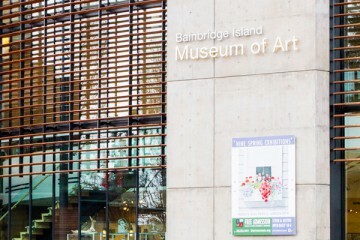 This program is produced in partnership with the Frye Art Museum. Registration is not required for this free program. Doors open 30 minutes before the program begins. First-come, first-served.